We believe that the BIBLE is the inspired WORD of GOD, and that none may add thereto or take away therefrom, except at their peril. We believe that the Godhead eternally exists in three persons …Father, Son, and Holy Spirit and these three are one God. We believe that the CHURCH consists of all persons who have been regenerated by the Holy Spirit, and made new creatures in Christ Jesus. We believe that all have sinned and come short of the glory of GOD, and through the death and risen power of CHRIST all who believe and confess JESUS as LORD can be saved from the power and penalty of sin. We believe that our LORD JESUS CHRIST is our healer, and that healing is provided for in the atonement. 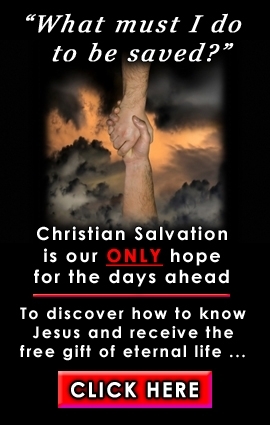 We believe in the personal return of our LORD JESUS CHRIST to receive unto Himself all born-again believers. We believe that every believer on the LORD JESUS CHRIST as Saviour should produce the NINE-FOLD FRUIT OF THE HOLY SPIRIT, as in Galatians 5:22,23. We believe that the Church should claim and manifest the NINE GIFTS OF THE HOLY SPIRIT as in 1 Corinthians 12:8-10. We believe that the LORD JESUS CHRIST has given some APOSTLES, and some PROPHETS, and some EVANGELISTS, and some PASTORS and TEACHERS, for the perfecting of the saints for the work of the ministry, and for the edifying of the body of CHRIST, Ephesians 4:11. We believe in the resurrection of the dead, the eternal happiness of all true believers in CHRIST, and the eternal punishment of all Christ rejectors. The BAPTISM of the HOLY SPIRIT. This Baptism with signs following is promised to every believer.